You know where I stand. If you’re an average ballplayer and you don’t have values…you won’t become a great player. …he’ll just have to learn the hard way. I know this may offend some of you. I hope it does. The truth is, there is a particular type of baseball, parent, player and coach that I’d prefer to continue subscribing to my newsletter. If my stance rubs you the wrong way there are other web sites that will show you how to “squish the bug and keep your elbow up” until you’re blue in the face. What I’m interested in showing you is how you can reach your highest potential by establishing the right kind of mental attitude to perform like the players you see on TV. 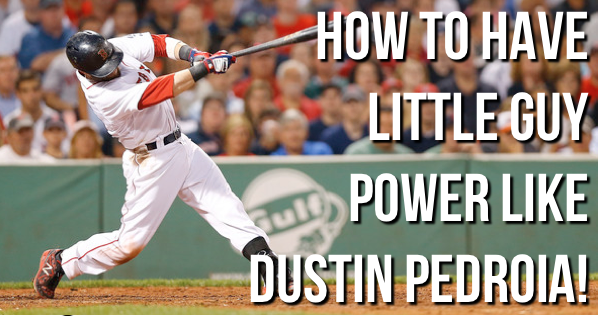 Dustin Pedroia is a player who has true confidence. Doesn’t play baseball to seek validation. He plays. He performs and he competes. I share a simple little incite about his approach to the plate as well as a mechanical movement that you can learn from. Previous post: How to make home made warrior paint eye-black for your next ball game. Next post: Become a Switch-Hitter By Growing Your Myelin Sheath.